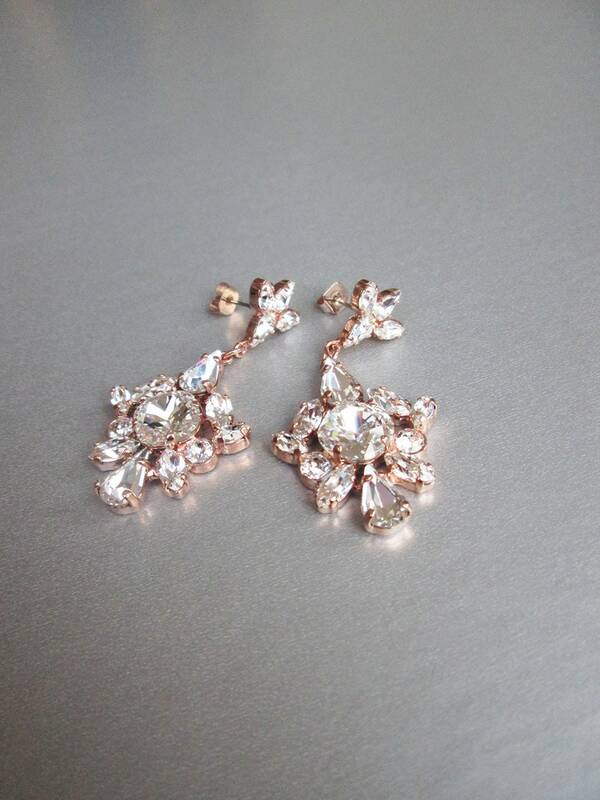 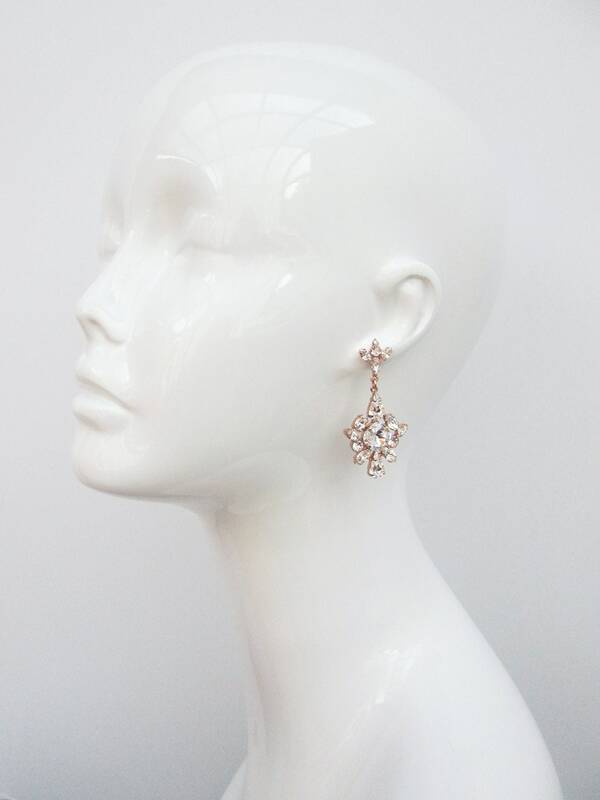 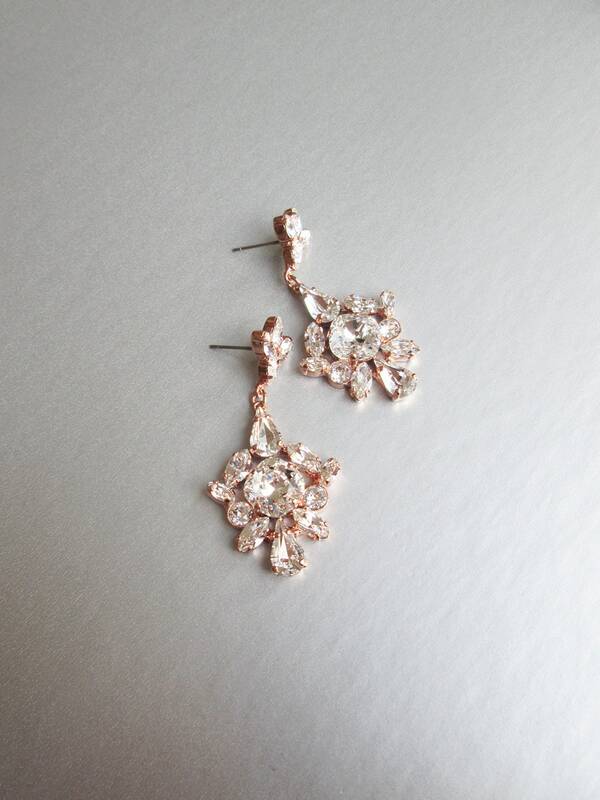 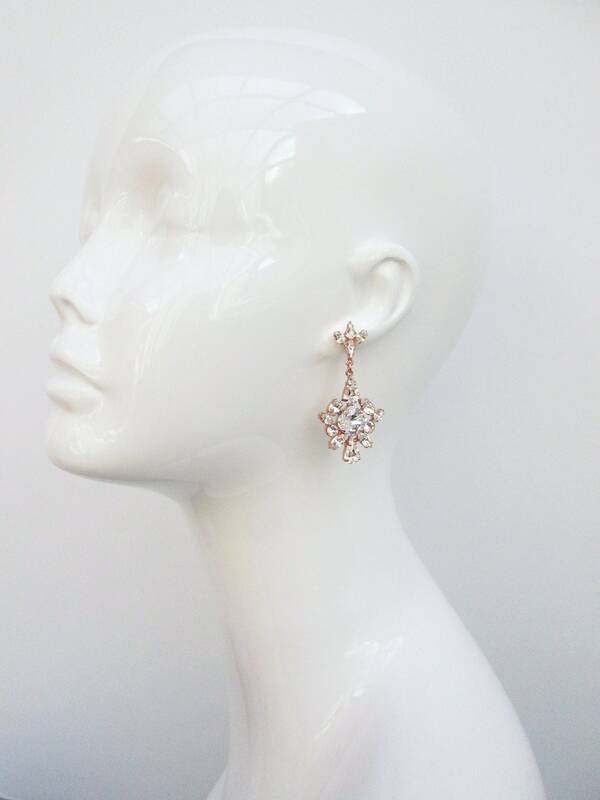 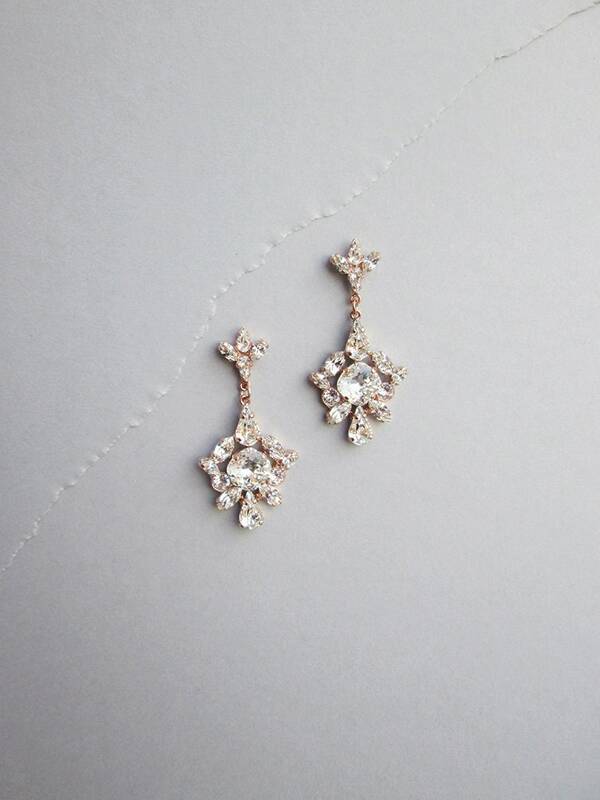 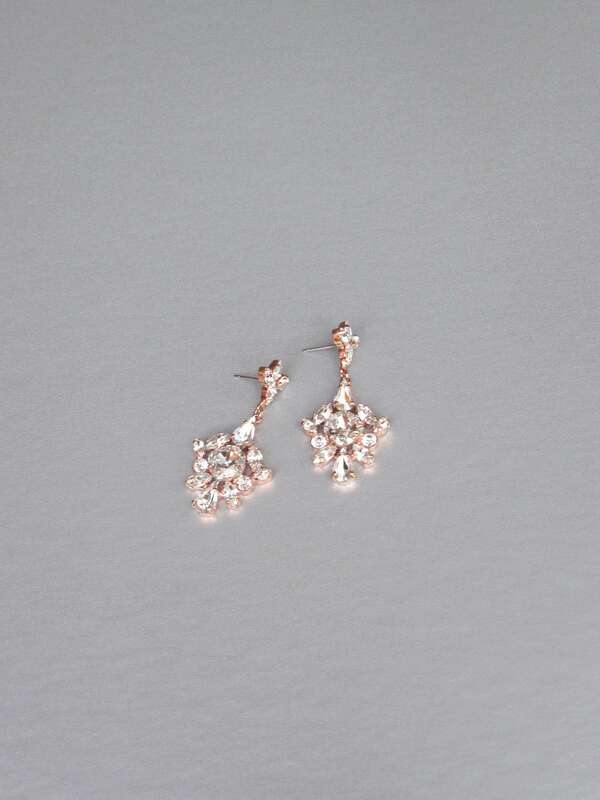 These beautiful elegant earrings are made with fine Swarovski crystals in clear crystal color. 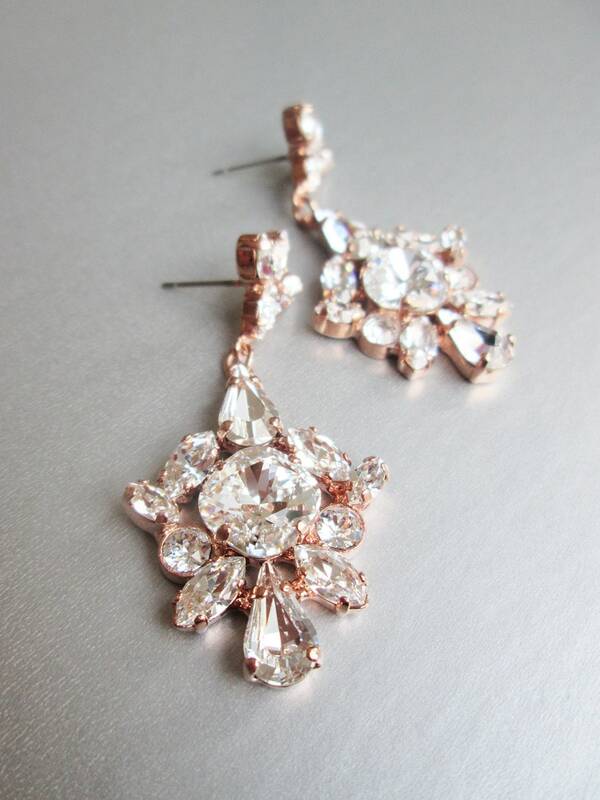 Super sparkly and with lovely movement. 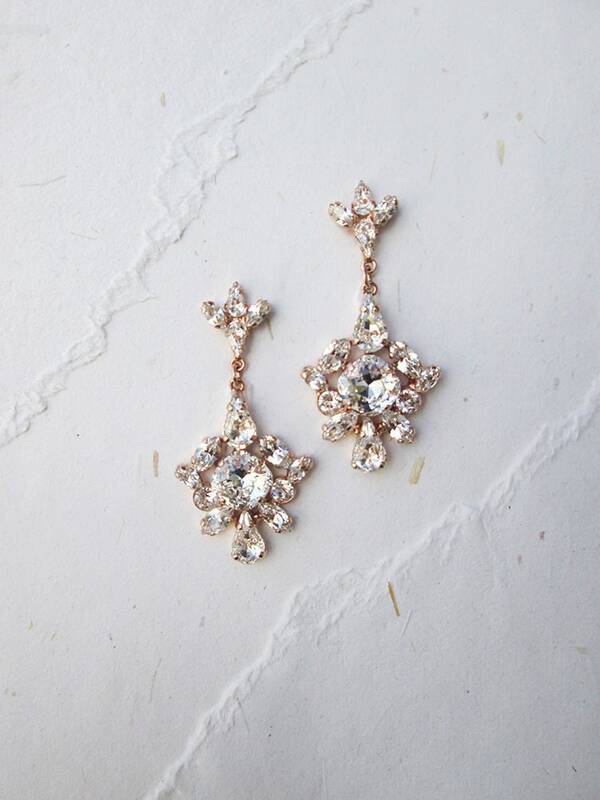 They measure 2" long in total length and 1" wide. 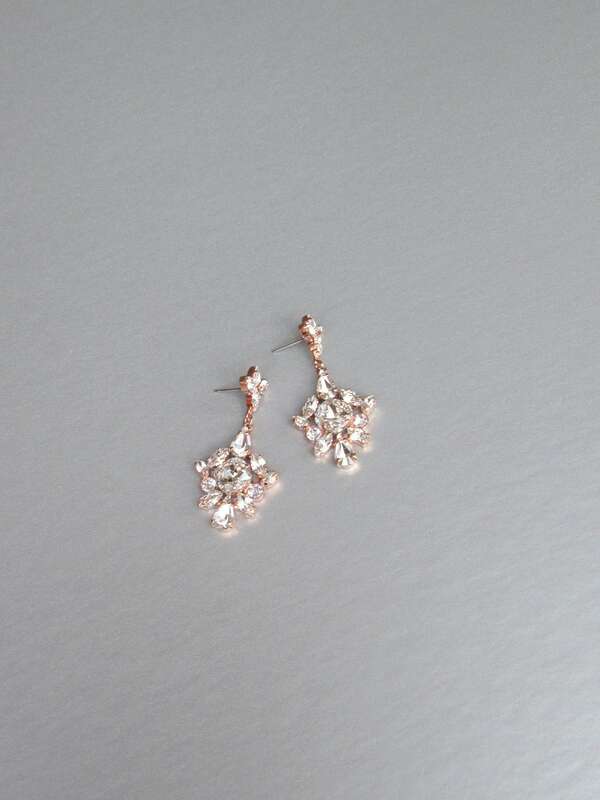 Available in gold, rose gold and silver finish.